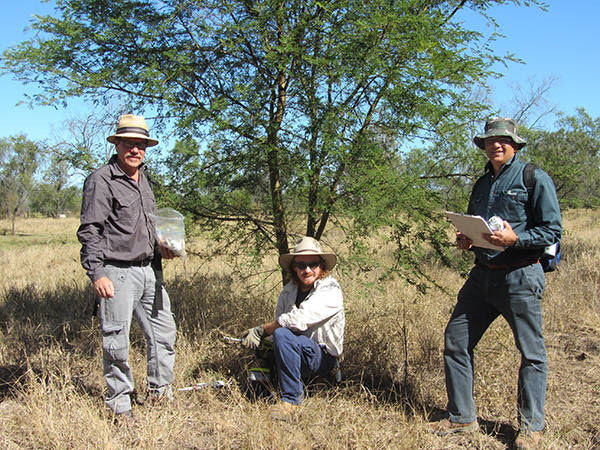 Professor Vic Galea, Paul Humphreys (Ecosure) and Peter Riikonen at a parkinsonia control trial site near Rockhampton in Central Queensland. A NATURAL control agent that will help manage one of Australia’s most invasive introduced woody weeds has become the first woody weed bioherbicide to be granted federal regulatory approval. BioHerbicides Australia (BHA) was formed by UQ’s UniQuest commercialisation company in 2010, when it sought Australian Pesticides and Veterinary Medicines Authority approval to market the bioherbicide. Following an eight-year wait, the Di Bak fungal bioherbicide received regulatory approval last month, paving the way for the product to be safely used nation-wide. Parkinsonia is one of Australia’s most invasive weeds, threatening rangelands, wetlands and natural waterways, as well as native plants and animal species. “This weed is so problematic that in many parts of the country, the law requires landholders to contain Parkinsonia bushes on their properties,” BHA managing director Peter Riikonen said. Current attempts to control the introduced species involved invasive mechanical clearing of land or potentially harmful chemical sprays, which was why the fungal bioherbicide had so much potential, Mr Riikonen said. The control agent can be injected into the trunk of the Parkinsonia tree, causing it to die without damaging the surrounding environment. A large study involving 90 trial sites across northern Australia was conducted and supported by Meat & Livestock Australia. Professor Galea said he co-developed the bioherbicide using naturally occurring fungi that causes plants to die back. 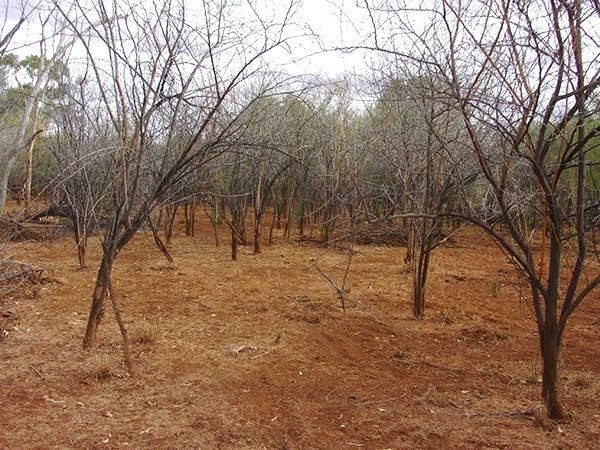 “This bioherbicide, which can be made into capsules and injected into trees, will change the way we manage woody weeds in our landscape,” he said. Parkinsonia treated with the Di-Bak fungal bioherbicide at a trial site near Dajarra in northwest Queensland.